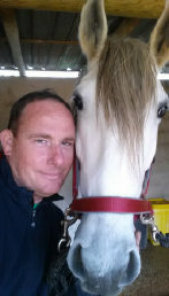 My name is Paul Clark and i am a farrier with many years shoeing experience in different countries worldwide and I am now available in the whole of the Algarve. I speak English, Dutch and Spanish very well and my German and Portuguese is improving daily. I shoe hot and cold using both handmade and factory made shoes. I am experienced in the Orthopedic shoeing of both horses and donkeys. If you are looking for a Professional, Punctual farrier that treats your horse or donkey with the utmost respect, I look forward to hearing from you! Now available in the whole of the Algarve and Alentejo!!! We will also be supplying specialized products for the treatment and care of your horses hooves. If there are any products that you would like to see us stock, please let us know. Our webshop is now online!